1. In year 2015, KBUNL was awarded with Bhamashah Award by Commercial Tax deparment, Muzaffarpur. 2. Crisil Rating of KBUNL Improved from BBB- to A+. 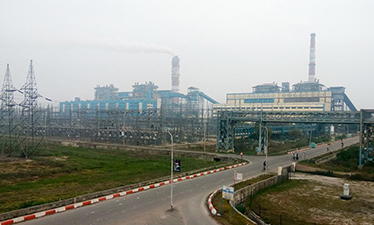 KANTI BIJLEE UTPADAN NIGAM LIMITED (KBUNL) is a wholly owned subsidiary of NTPC Ltd. KBUNL owns and operate Muzaffarpur thermal power station located at Kanti block of muzaffarpur district of BIHAR. © 2018 Copyright, KANTI BIJLEE UTPADAN NIGAM LIMITED .